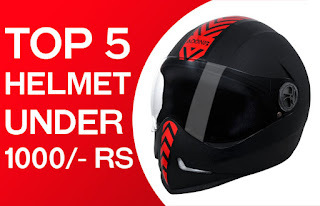 A good helmet is an essential thing for two-wheeler riders.There are many good helmets available under RS 1000 price range.Some famous brands in India are VEGA, Studds, and Steelbird.Here we show you "Top 10 Best helmet under Rs 1000 for men".Generally, we use Street helmet for daily use.Although there is two type of helmets Full-face and open face helmet.But we consider full face helmet more secure because it gives protection to your jaw area.Some women preferred an open-face helmet because it is more convenient and we can see more area through the helmet.Some people are not want to spend so much on a helmet So we make the article for them. Calculate the circumference of your head approximately above your eyebrows. 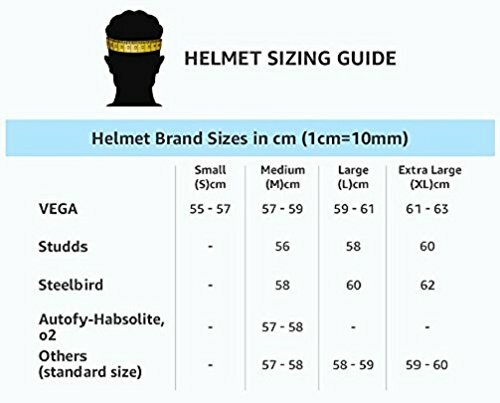 Match the measurement with the Helmet Size chart you want to buy. Make Sure Your Helmet is tight enough otherwise it may come off in a crash. 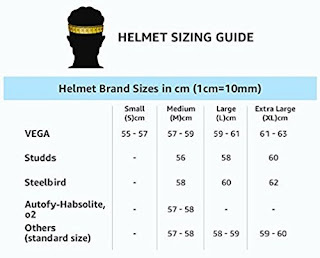 All the Top 5 Full-face helmet listed above are best and tested by thousands of customers.We recommend you to buy helmets according to your requirements.Some helmets look Sporty but they are not 100% Secure.You Should choose a helmet which is a combination of design and quality.